Differential Blood Cell Counter | products Categories | Electronics India - Manufacturer, Supplier and Exporter of Analytical, Scientific Laboratory and Pharmaceautical Instruments in India. Electronics India is prime Differential Blood Cell Counter manufacturers and suppliers from India. Differential Blood Cell Counter use microprocessor controlled system which offers accurate and quick differential counts. 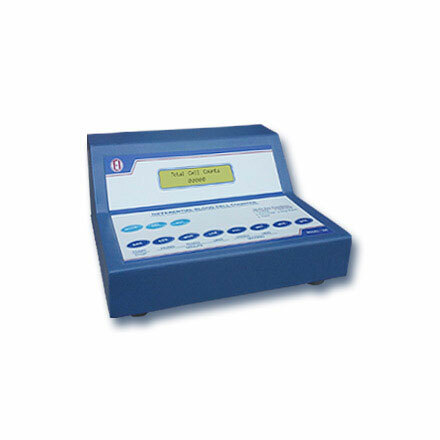 This cell counter is featured with reliability, accuracy, stability and is a sleek device. These cell counters are available with 11 operating keys that are suitable for clinical labs for showing the primary bacterial or virus infections.